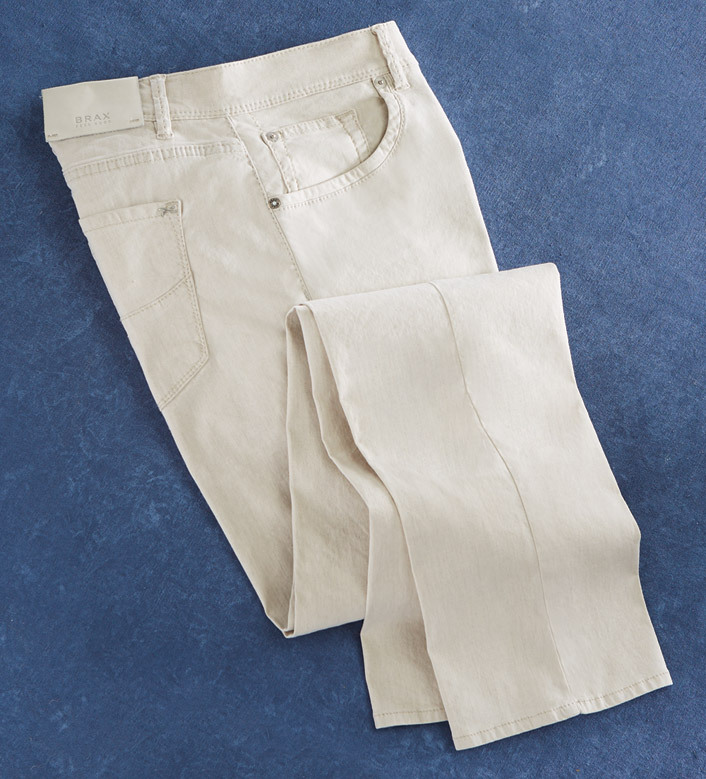 Performance linen blend with a cool, fresh look for spring. Comfortable stretch fabric, five-pocket styling, straight legs. 51% linen/47% cotton/2% elastane. Machine wash. Imported. Absolutely love those jeans. Just wish they came in my waist size - 31 in.